It doesn’t feel like Christmas in Antímano, the neighborhood where I live. Inflation, crime and violence, and the difficulty accessing basic goods and services have produced widespread suffering which popular sectors live with stoic resignation during a season that once brought joy and tranquility. The hills that used to be illuminated with multicolored lights in windows and doors today pail before the daily struggle of their inhabitants. Most people look wistfully back on even the recent past when they at least had enough to buy a humble Christmas dinner. Vladimir Ferrer (38) recalls. 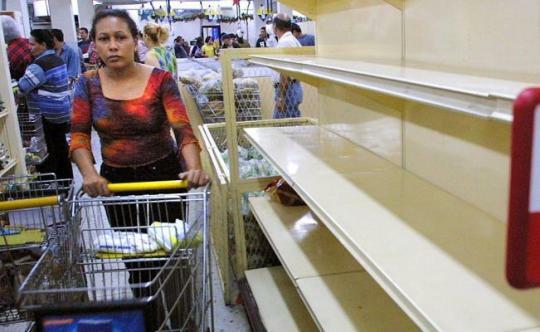 The Venezuelan government insists that the people live better today than they did years ago. However, the situation everywhere seems to emphatically contradict their statements. From kilometer 11 of Junquito, Leidy Ospino—a 42-year-old housewife—says the following. “And the government?” I ask. And it is not just the popular sectors who are suffering. Among the middle classes, there is a sense of nostalgia for a lost position of comfort. Standing in a supermarket line in El Paraiso, Juan Carlos Herrera (31), a sales advisor for a telephone company, recalls how Christmas was a time for family reunions in past years. For others in the middle class a different nostalgia pervades the home during Christmas. Family members who went to study or to work in another country are missed by those who remain. Karla Alvarado (48) saw her second daughter move abroad this year and regrets that this Christmas will not be the same for her.